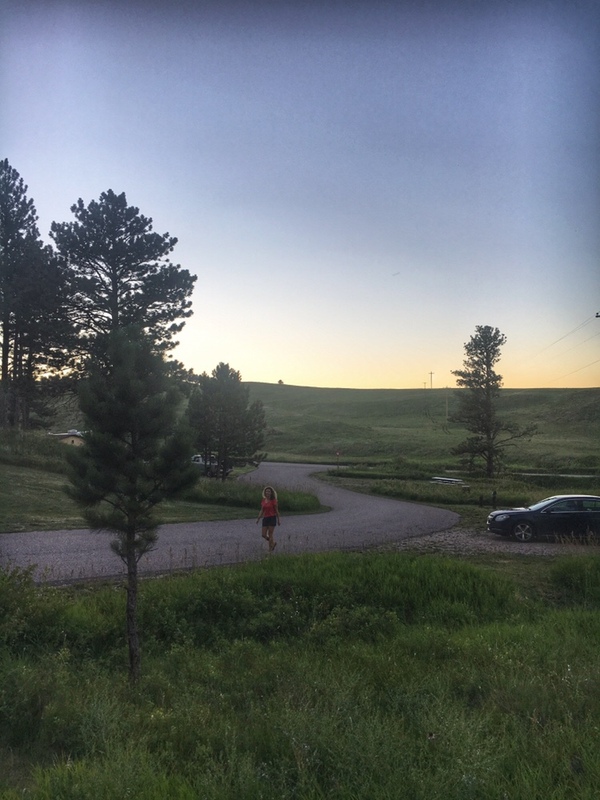 Rushmore and more and more – Don't make me turn this van around! 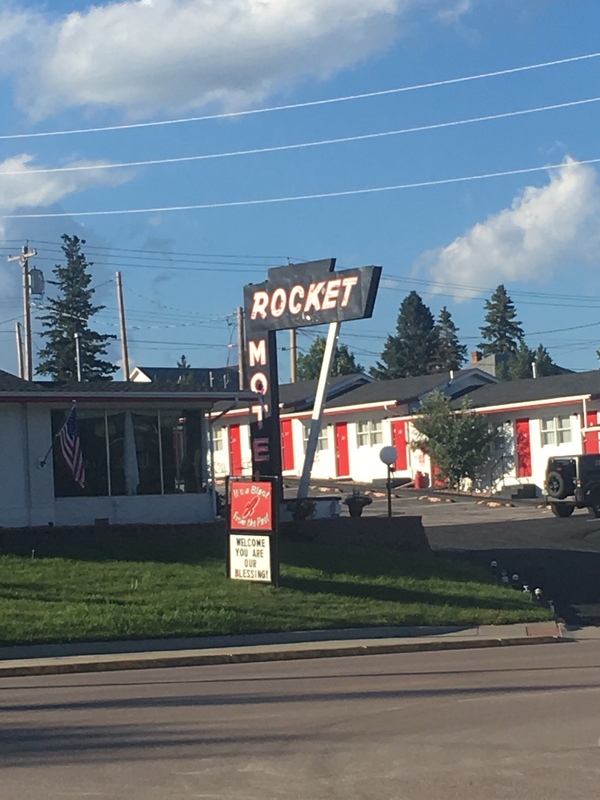 Our departure from Gillette, Wyoming, was slightly delayed by the presence of a “waterpark” in the hotel (see end of the last post). I’m so glad we didn’t have this amenity earlier in the trip, or they’d have been asking for waterpark-hotels for two months. We headed out to catch a couple of iconic landmarks. En route to Mt. 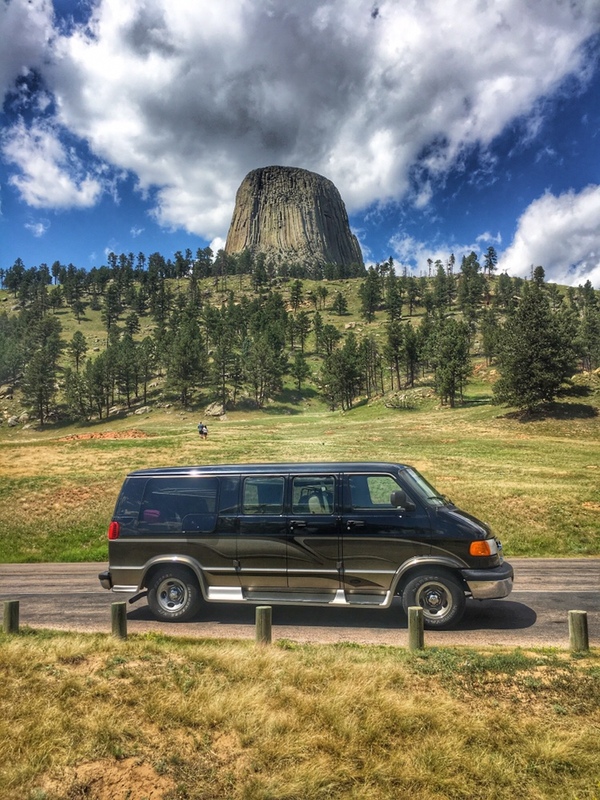 Rushmore, I saw a sign for Devils Tower and we decided to make a quick side-trip. 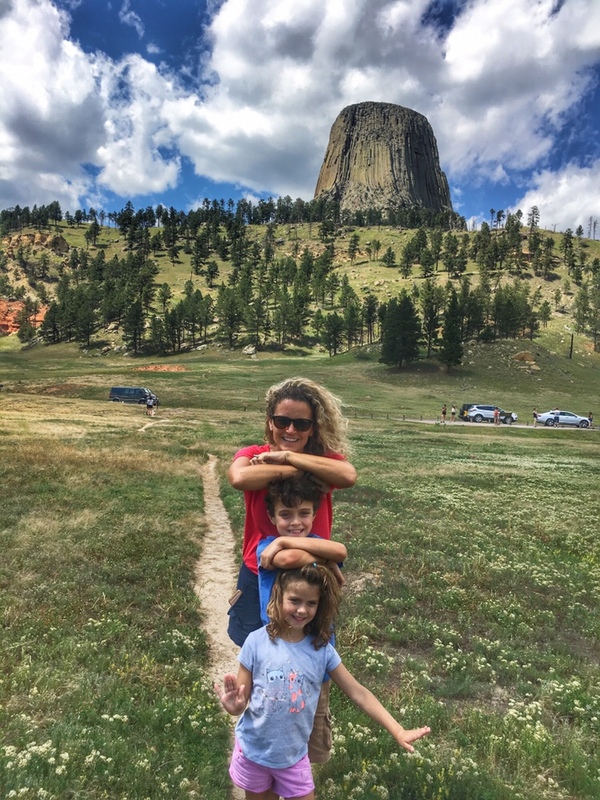 (Devils Tower does not have an apostrophe because of a clerical error when Teddy Roosevelt signed the order creating the monument – so don’t email me corrections). 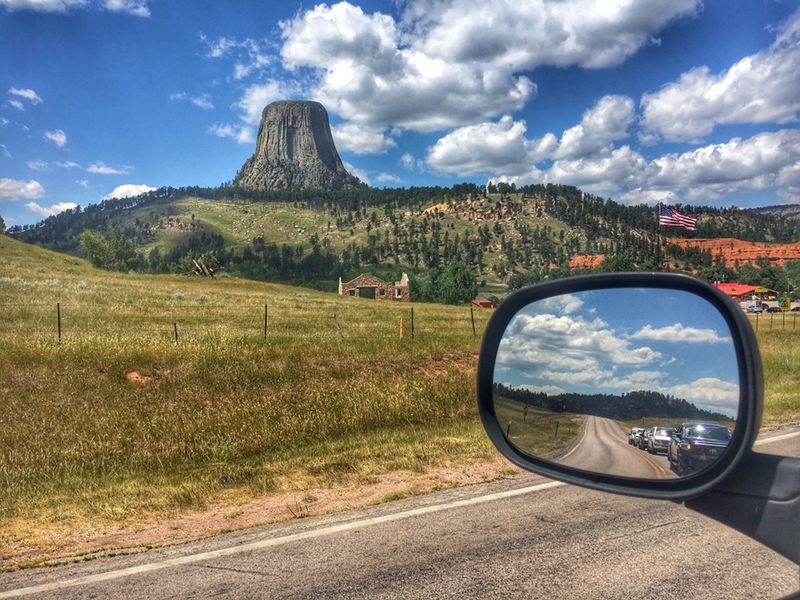 Devils Tower remains hidden for much of the drive, and makes a dramatic appearance as you approach. Our handy National Park Pass avoided the fee, or we might have questioned the $20 price for what amounted to a brief, but worth-while stop. I made a mental note to show the kids the Spielberg classic Close Encounters of the Third Kind. I was a child last time I saw it, so it’ll be new to me too. From our closest vantage point, we could see rock climbers scaling the tower. Also not seen in the photos are the hundreds of prairie dogs popping out the ground. We crossed into South Dakota, and if there’s anything you need to know about South Dakota, it’s that Mt. Rushmore is, in fact, in South Dakota. It’s on every license plate if you forget. Now, I’m going to say something that isn’t going to be very popular. My wife disagrees. But I’m going to say it anyway. Perhaps it’s because I’ve been to Mesa Verde and the Zion Narrows, and we’ve stood below Half Dome and El Capitan, but… Mt. Rushmore isn’t as big as I expected. It was like the tiny Stonehenge in This Is Spinal Tap. It’s only slightly larger than the image on the license plates. Okay, that’s not fair. As a matter of fact, the faces are about 60″ tall. – a six-story building – or slightly larger than the parking garage where we paid $10 to park (sorry National Park Pass holders, you have to pay too). But it cost me $20, because my change was whisked out into the wilderness when I opened the car door. For a moment my $10 bill clung to the side of the mountain, briefly giving visitors the mistaken impression that Alexander Hamilton had been added to the face. That’s how small Mt. Rushmore is. Okay… it’s not that small. And is has a robust visitor’s center/museum complex. The movie in the museum was interesting (narrated by SD native Tom Brokaw). It was cool to see how the carving was done and it made me wistful for a time when we had leaders who were adults and didn’t brag about sexually assaulting women. Despite being quite busy, we didn’t encounter lines, and the nearby town of Keystone looked like a hopping tourist spot. The area is gorgeous and would be worth visiting without the famous faces – so listen to millions of other Americans – not me. Top left: I was surprised to learn that the faces of Mt. Rushmore were carved in their actual size. Top right and bottom: The town of Custer is the “Gatlinburg” of South Dakota (perhaps more charming), with lots of “saloons”, candy shops and the requisite Harley Davidson store. We found a buffet with everything from pizza, to tacos, to Asian, to prime rib. 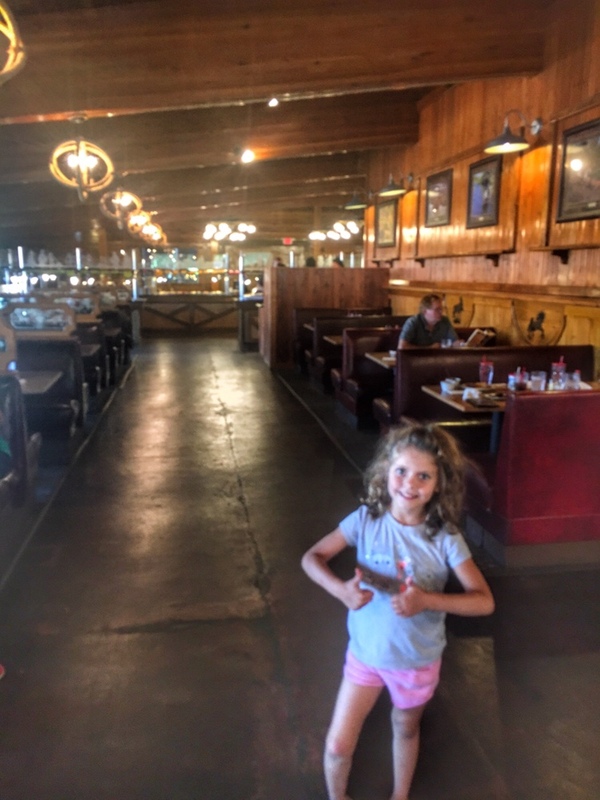 We’re not normally a “buffet family” but the salad was fresh, and our girl approved of the macaroni and cheese. We left Rushmore a little uncertain of where to sleep and not really wanting to drop $125 on a hotel. Not far down the road, we came upon the Mt. 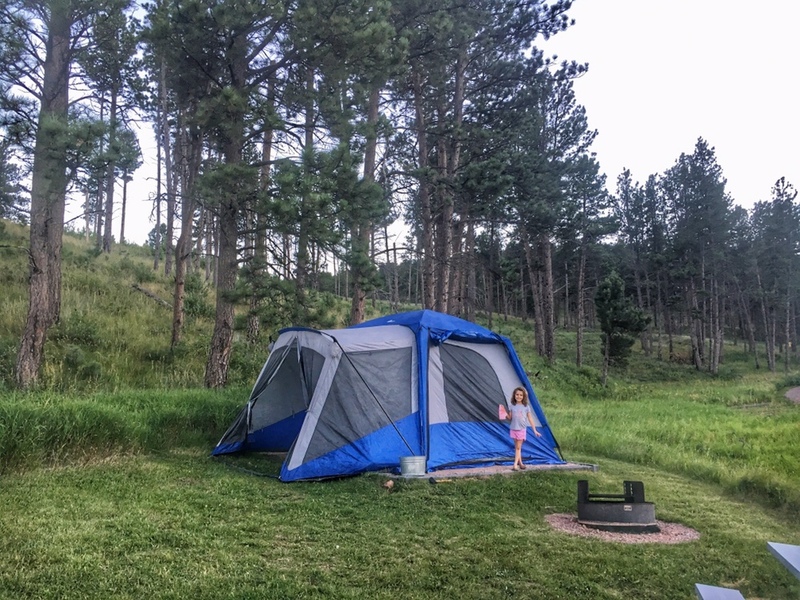 Rushmore KOA at Palmer Gulch. It was getting into late afternoon and we were concerned that we might spend too much time searching for a good campsite, so we pulled in to check it out. The Mt. Rushmore KOA has horse stables, a pizza joint, ice cream parlor and camp store, in addition to the typical swimming pool. Monica went into the office and secured us a site… for the low low price of $50. Come again? Fifty dollars? We pulled into the compound and found what might have been a scenic meadow at some point, turned into something resembling a tailgate party. It was wall-to-wall RVs and guests zipping around in pimped out golf carts. Our “campsite” was a soggy parallel parking space. I didn’t even turn the van off. “I can’t stay here,” I said. “Thank god you said that,” Monica replied. She sent me to do the dirty work of getting a refund. “Are you checking out early?” the chipper young man asked. “No,” I said. “We’re not checking in.” He didn’t ask for an explanation. My only question is: Why in the hell would people spend their vacation in a place like that? Near Mt. Rushmore, is a similar project – a mountain carving of Crazy Horse, that has been in the works for about 70 years, slowed by the challenges of private funding and litigation by the descendants of Crazy Horse who don’t appreciate the visage. They wanted $30 to check out the unfinished monument, which apparently hasn’t changed much in 20 years. We made a U Turn at the gate, catching a glimpse of the sculpture’s profile. Less than 20 minutes up the road for the Walmart parking lot of campgrounds, we found the half-empty Wind Cave National Park camp ground. 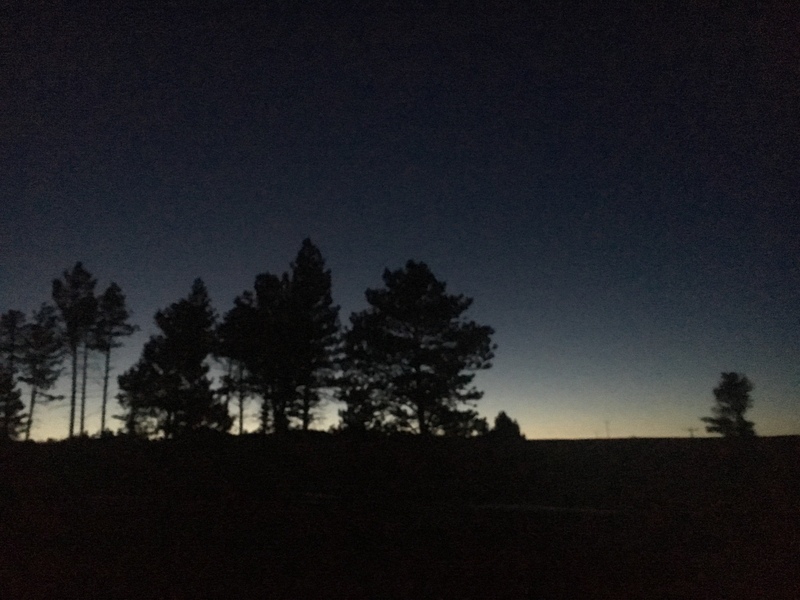 It was a serene glen, sheltered from the wind, a combination of woods and prairie, with spacious sites for the price of $14 per night… on the honor system. The bathrooms were clean. No, there were no electrical hookups to power the big-screen satellite TV sticking out of the side of a fifth-wheel – but hey – I have a TV at home. 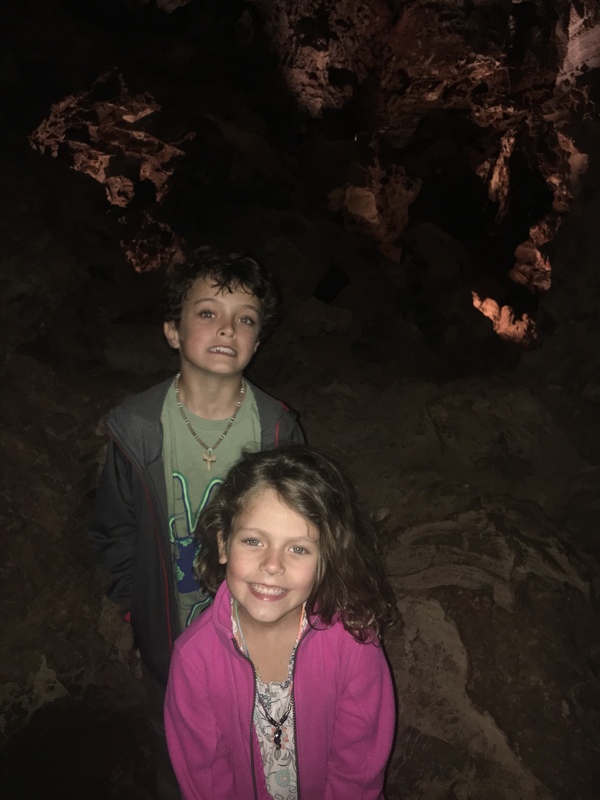 The weather was perfect – there were no bugs – and the next day we descended 140 feet into a massive cave system that has barely been explored. 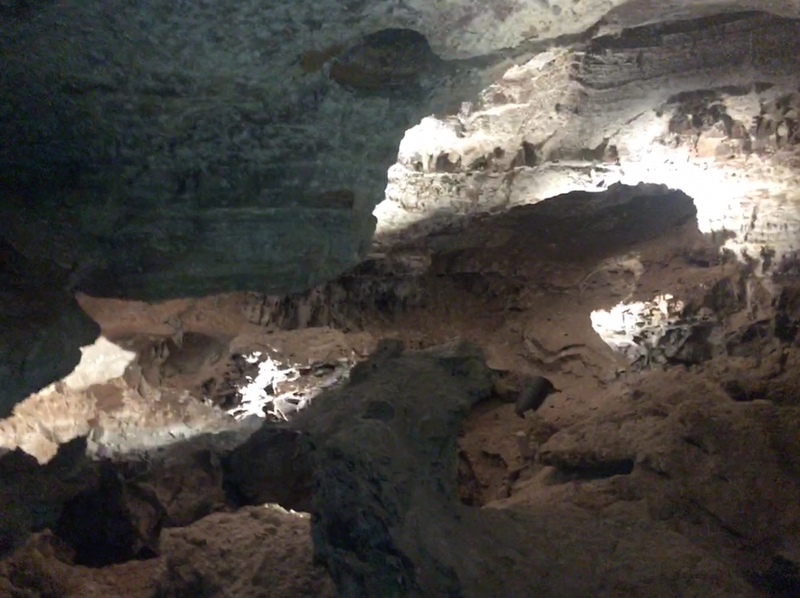 Wind Cave National Park was another unplanned, pleasant discovery. Yes, it didn’t have a pool like the KOA which, incidentally, boasted “adult only” swim from 8-10pm (what? why? gross! ), but we suffered in our quiet prairie teeming with deer, rabbits and hawks. 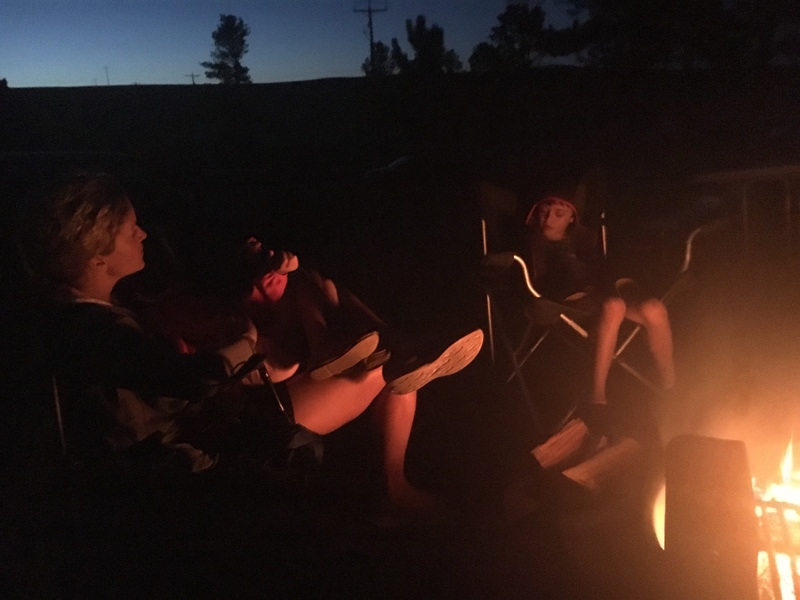 Bottom right: Yeah, we sing campfire songs. 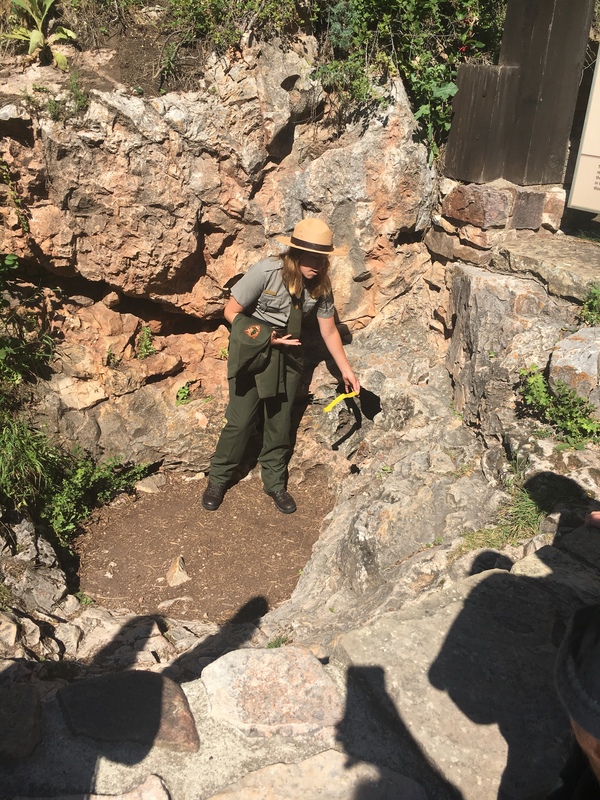 Left: Wind Cave might not have been discovered if rushing air from the tiny hole leading to it hadn’t blown off the hat of a couple of nineteenth century prospectors. Note the ribbon blowing from the air pressure. Right: Cave pictures on a camera phone are awful. The temperature in the cave is always about 54 degrees. There are over 150 miles of passages beneath one square mile of land. And you can fit 2,000 Mt. Rushmores inside – give or take. All joking aside, Mt. 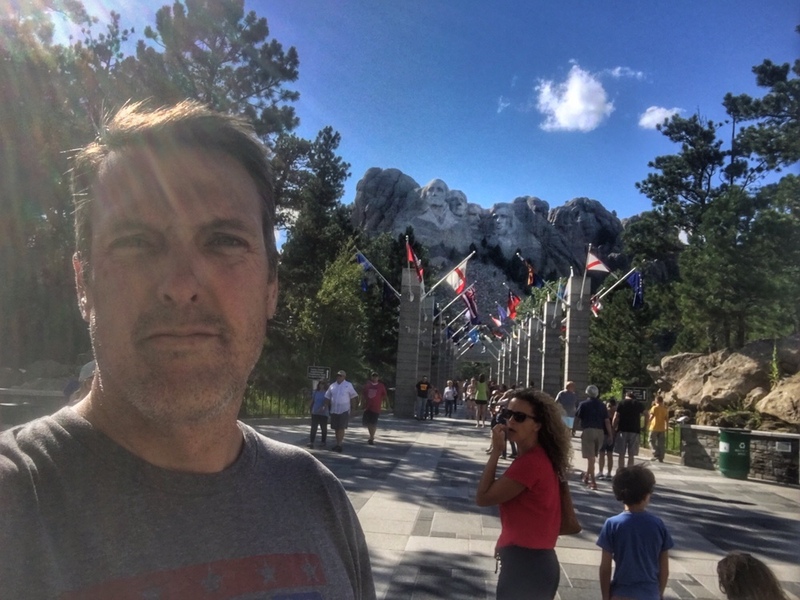 Rushmore is a worth-while stop and the region is beautiful. Trust your GPS – and yes, turn down that dirt road. Google took us through some unpaved country – a nice change of pace from the nearly 7,000 miles of asphalt we’d explored. In South Dakota and Wyoming, they don’t discriminate based on paving. We could have easily spent a week in this area and found lots to do. The weather was great and the landscape is unusual. Don’t tell anyone about Wind Cave. I don’t want it to get too crowded, just in case we go back. The National Park Passport book is a fun way to track your park visits. Wind Cave marked our 13th, and last, stop in a National Park or Monument. Our annual pass saved us hundreds of dollars on entrance fees. Looks like the Mt. Rushmore area has not changed much in 20 plus years. It is a beautiful spot.